The Harper Group of Morgan Stanley is a Arkansas-based wealth management team that serves a select number of families and businesses. Our mission is to be the primary advisor for our clients as they build, protect, and distribute their wealth. Our commitment to this mission is demonstrated through three core principles:Planning Approach – LifeView, Income Strategies, Wealth Transfer –A thorough discovery process that helps us understand your goals and what truly matters to you; Interactive LifeView® planning process that provides a roadmap towards your financial goals; Provide you with the education to help simplify complex financial issues, which may help you avoid common mistakesOur Capabilities – Investments, Tax Effective and Estate Planning Strategies, Life Insurance, Long Term Care, Insurance, Lending, Trust ServicesExperience, collaboration, and determination allows for innovation and perspectiveAn established risk and asset allocation framework results in outcome-based portfolios that are tied to our client’s stated objectivesThe ability to help deal with tax and estate issues provides a comprehensive view and fully integrates our client’s plansPersonal Service – Scheduled Review and Calls, Online Access and SupportWorking with a select number of clients ensures accessibility and responsivenessOngoing communication based on timely, relevant information that is easy to act upon and helps you stay on track & Consistency and a client-centric, dedicated staff help create a caring, comfortable environment.Our clients experience the confidence that comes from having structure in their financial lives. They feel more connected and informed which can lead to a trusting relationship. We offer particular depth of experience in providing world-class investment services to our clients. We work closely with our clients to understand their investment goals, time horizon, risk profile and personal preferences to tailor a specific investment strategy that is customized for each client. From stock and bonds, to managed money, derivatives, hedging strategies and alternative investments, we have the experience and the access to Morgan Stanley’s renowned global resources to help our clients develop and maintain an optimal investment strategy. We focus on taking a comprehensive approach to total balance sheet management, to help our clients feel confident of having sufficient resources available to handle both the planned and unplanned events in their lives. We analyze each client’s net worth and short- and long-term income and expenses to provide a range of investment and lending solutions to help them meet their needs and grow their core assets. 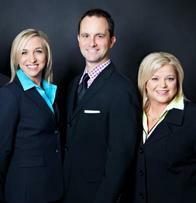 We offer clients access to highly trained and specialized professionals in the area of personal estate planning. We can work with the input from your tax and legal advisors to help you develop effective strategies for transitioning your wealth while minimizing the impact of taxes on your estate, exploring various charitable giving strategies, and providing comprehensive personal trust services. As Senior Portfolio Manager, Heath is responsible for creating portfolios designed to navigate the ever changing world and markets. His focus areas also include new business relationships, investments, tax effective strategies, financial planning and retirement income strategies. Through effective asset management, The Harper Group aims to improve our clients’ quality of life and help them reach their goals through all stages of life in all market conditions. Heath joined Morgan Stanley in 1999 and currently serves as Senior Vice President, Senior Portfolio Manager, Financial Advisor, and is the Team’s founding member. He successfully managed the Arkansas Complex of Morgan Stanley from 2005 to 2009. Heath began his career with Tyson Foods in the External Financial Reporting Department and helped put together their consolidated financial statements. 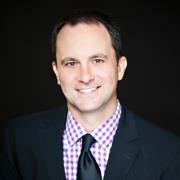 He graduated in 1997 from the University of Arkansas at Fayetteville with a BSBA in Accounting. Mr. Harper was honored as a National Director Award winner at Morgan Stanley in 2001, is a former Board of Directors member for the Little Rock Chamber of Commerce, was named by Arkansas Business as one of the top “40 under 40” in 2004. He volunteers as a speaker for Invest It Forward™ Stock Market Game in local schools, is a member of the Board of Governors at Chenal Country Club and is a member of Central Arkansas Executive Association. He and his wife, Brooke, reside in Little Rock with their sons Finch, Ellis and Hayes. Heath enjoys traveling and outdoor activities but his passion is golf. Source: Arkansas Business “40 Under 40”. The award is based upon a recipient’s application and not upon any qualitative and quantitative criteria relating specifically to one’s position as a Financial Advisor. As such the award is not representative of any client’s experience nor is it indicative of the Financial Advisor’s future performance. The publication states that it considers four factors in compiling its list: accomplishments to date, contributions to the industry, leadership, and promise. Neither Morgan Stanley Smith Barney nor any of their Financial Advisors pay a fee to the Arkansas Business in exchange for the rating. As Wealth Advisory Associate, Karen shares our Team’s passion, knowledge and experience with our clients so that they may focus their time and energy on their business and family. Her focus areas include wealth management, corporate services (retirement and stock option plans), financial planning and retirement income strategies. Karen joined Morgan Stanley in December 2005. Prior to her current role, Ms. Greer was employed at Stephens Inc. for nine years. She works closely with corporate executives to maintain compliance with SEC regulations related to restricted securities. She is also Series 7, 63, 65, and 31 licensed. 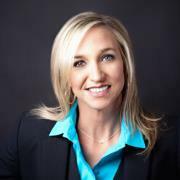 She graduated from the University of Arkansas at Little Rock in 1996 with a Bachelor of Business Administration in Finance. Ms. Greer is a past President of the Junior League of North Little Rock and currently coordinates volunteer opportunities for Women to Women through First Baptist Church of Benton. 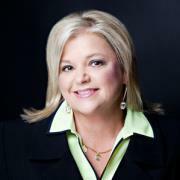 She also volunteers as a speaker for Invest It Forward™ Stock Market Game in local schools. Karen and her son, Charlie, live in Little Rock. She enjoys weekends at the lake, traveling, shopping, and spending time with family and friends. As Senior Client Service Associate and the key relationship manager, Cheryl is instrumental in the development and implementation of our in-house client monitoring and review system. Her focus areas include client management and personal service, our clients experience, account maintenance, online support and organization. Cheryl has been with Morgan Stanley since 2008. She joined the firm attracted by its innovative, client-centered approach. Cheryl is highly motivated and adds an exceptional level of efficiency to the team through her accumulated 20 years of experience in customer service. Originally from Sheridan Arkansas, Cheryl and her husband Sam moved to Little Rock in 1988. Cheryl and Sam have one son, Jahon. When the market is closed Cheryl enjoys spending time with her family, being outside, and shopping.